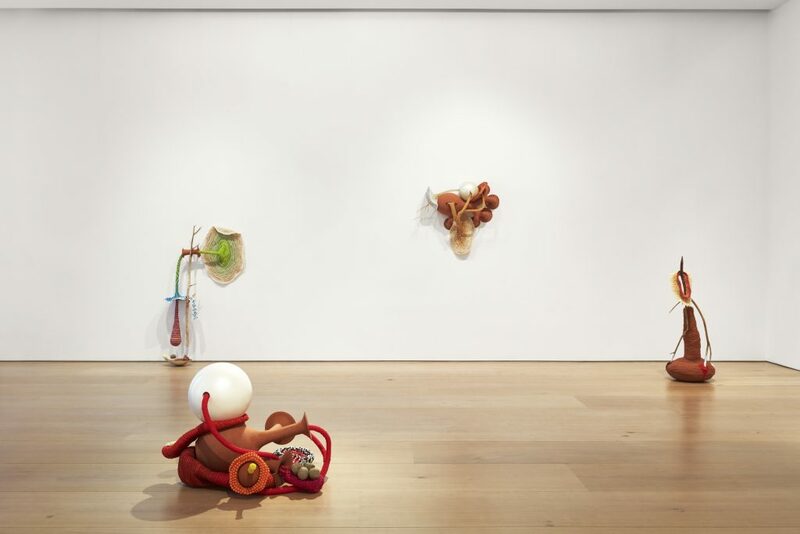 Victoria Miro is delighted to present Sim, an exhibition of new work by Maria Nepomuceno. 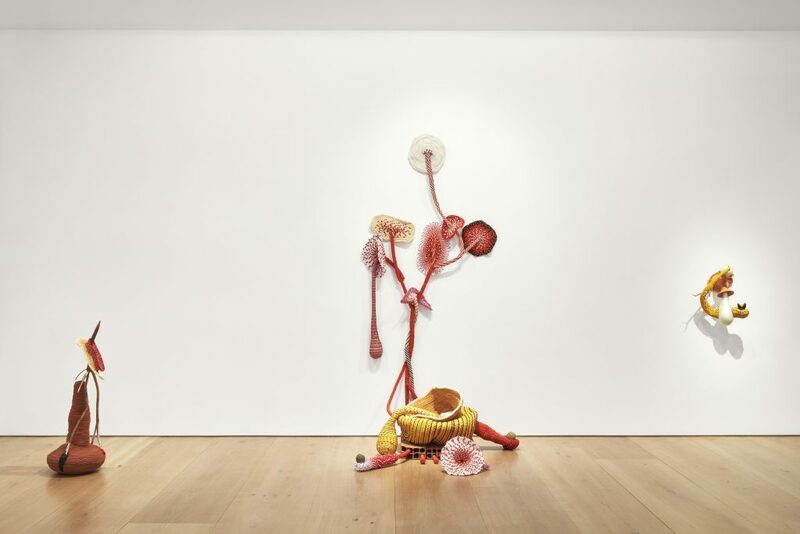 Vibrant and seductive floor- and wall-based sculptural works feature in this exhibition, the artist’s first at Victoria Miro Mayfair. 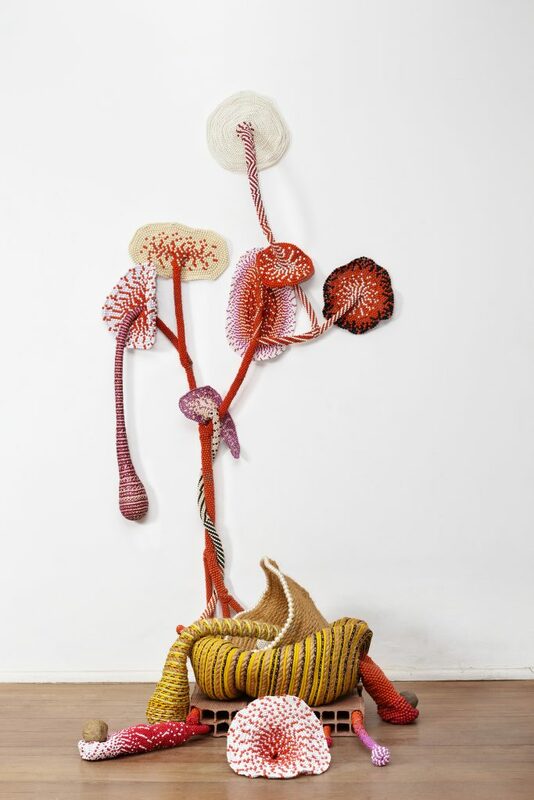 Displaying a characteristically dynamic approach to form, these new works expand upon the Rio de Janeiro-based artist’s methods of rope weaving and straw braiding, in which pre-existing and found elements such as branches, twigs, seed pods, playful ceramic forms and paint brushes merge with the organic forms of the sculptures. Nepomuceno’s works are chromatically, culturally and metaphorically rich, suggesting animals, plants, the human body and landscapes ranging from the microscopic to the macroscopic. 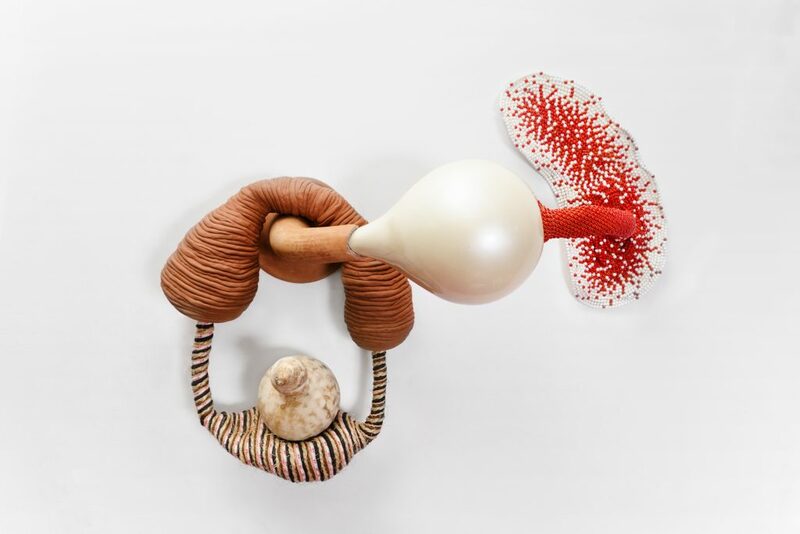 That the sculptures appear anthropomorphic and organic is essential to a reading of the work: the spiraling central to Nepomuceno’s process relates to the spirals occurring naturally throughout the universe, giving shape to entire galaxies as well as the blueprint for existence, DNA. Working across scales, Nepomuceno pushes ancient traditions and complex craft techniques into a wholly contemporary engagement with space and structure, form and concept. Following Cosmic Teta, 2016, her recent large-scale commission for the Barbican Centre, which extended through levels of the building, the works in Sim foreground a more intimate aspect of her practice. The results are intended to harness the extended time of their making while simultaneously inviting the viewer to pause, draw close and engage with complex cycles of energy and creation. 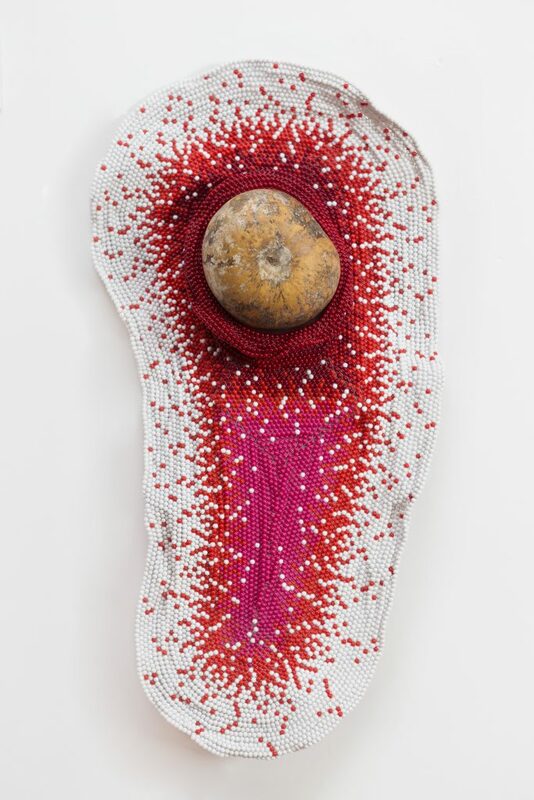 The small beads used in her woven threads, for instance, are echoed in large, pearl-like forms made of fiberglass and resin which occasionally appear to crack and burst open, spilling their contents like seeds. Elsewhere, faults and cracks built into her ceramic forms point to the artist’s interest in failure as a source of fruitful opportunity, of things being given new life through the resourceful creative process. 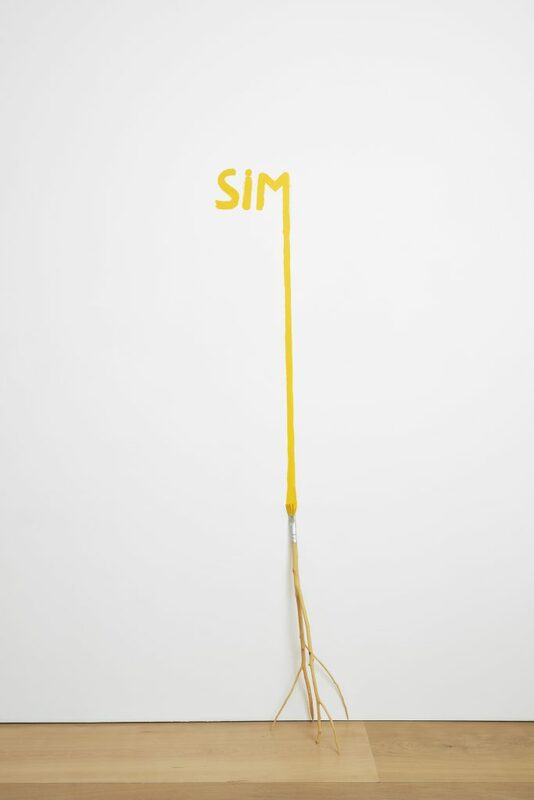 An affirmative act of repurposing is borne out by the exhibition title, Sim – meaning yes in Portuguese – which underscores a spirit of generosity in all of Nepomuceno’s work, not least in the artist’s desire to “catch time and give it back to the viewer”. In Nepomuceno’s work linear time gives way to a more cyclical sense of connectedness, while notions of subject and object, form and function, cause and effect are made deliberately ambiguous. For example, a paintbrush appears as both a creative tool – used to apply paint to the ceramic vessel containing beads and gourds on which it sits – and a structural component holding aloft the antler-like branch of a tree. Used in her work since 2012, the paintbrush relates to Nepomuceno’s initial training as an artist. 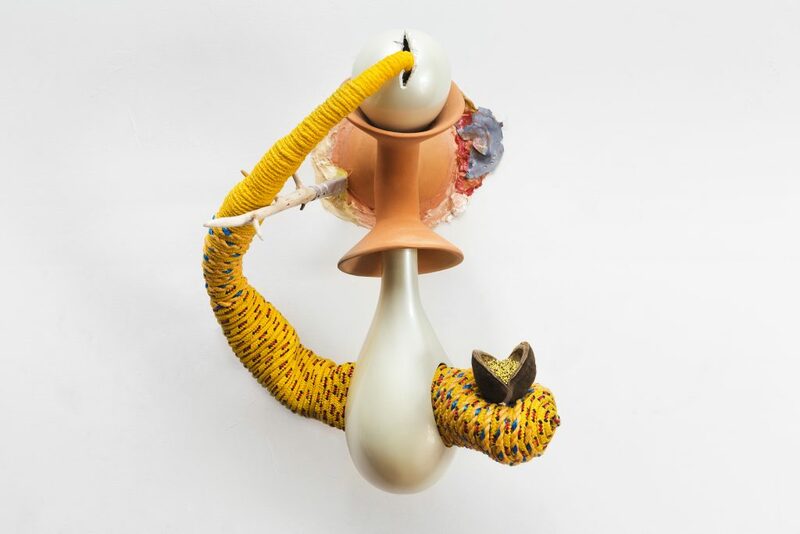 Similarly, the ropes and coils that she employs are both physical and metaphorical connecting threads and containers of meaning and history in their own right, rich with references to the artist’s ancestry. Holding in exquisite tension the personal and universal, natural and manmade, sensual and cerebral, Nepomuceno’s works are at once static and highly rhythmic. 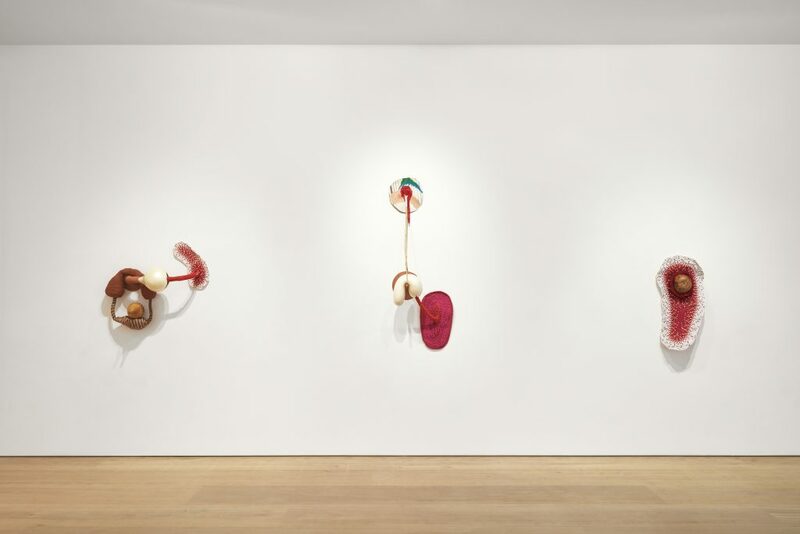 Each work, each sculptural moment, pulses with a continuous flux of energies. Ceramic, ropes, cabaça, fiberglass and resine, 40 x 30 x 25 cm, 15 3/4 x 11 3/4 x 9 7/8 in. Ceramic, ropes, beads, cabaça, fiberglass and resine, 70 x 50 x 30 cm, 27 1/2 x 19 3/4 x 11 3/4 in. Beads and cabaça, 90 x 45 x 20 cm, 35 3/8 x 17 3/4 x 7 7/8 in. Ropes, ceramic, beads, fiberglass and resine, 67 x 59 x 30 cm, 26 3/8 x 23 1/4 x 11 3/4 in. Wood, acrylic paint, 230 x 57 x 28.5 cm, 90 1/2 x 22 1/2 x 11 1/4 in.